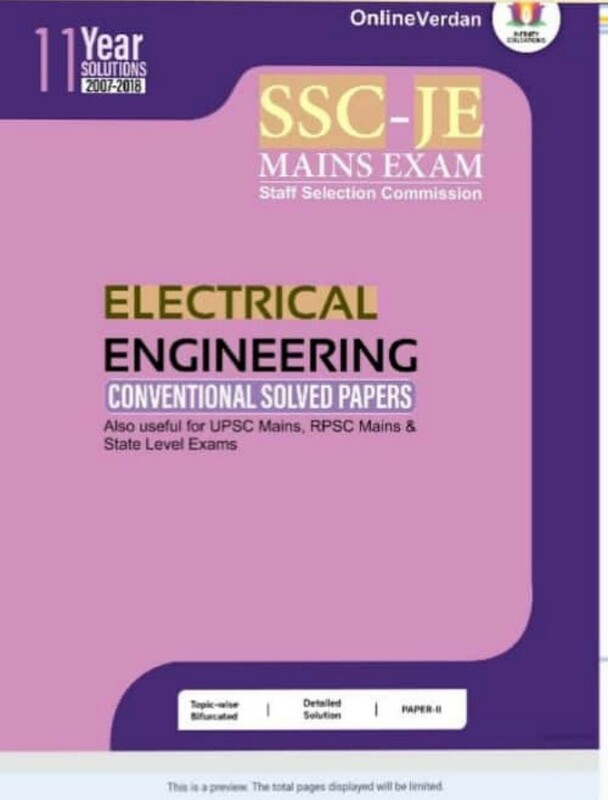 SSC-JE: Conventional 2019 (Paper-II) for Electrical Engineering book is designed to help those aspiring students, who wanted to strengthen their grasp and understanding of the concept regarding Electrical Engineering. The book covers questions of last 11 years since 2007 of SSC-JE Conventional Examinations. The book represents detailed explanations of each question with the help of derivations and diagrams. The book satisfies all requirements of students and boost their confidence for preparing SSC-JE Conventional as well as RPSC-AE Mains and other State Level Conventional Exams. Plz buy this book if u read more.